Improvements in the MR evaluation of PE has been driven by the increasing capacities of modern MR systems and underpinned by researchers' innovative approaches on multiple fronts. 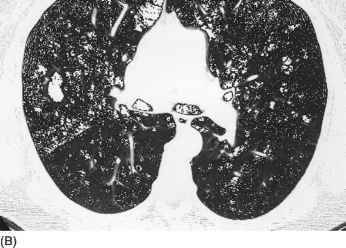 The possibilities of combining high-resolution imaging of perfusion, ventilation, and angiographic anatomy with MRI are intriguing and could confer a unique advantage in aiding the diagnosis of pulmonary embolic disease. In particular, advances in blood-pool contrast agents, functional imaging, and parallel imaging will likely propel MRI into a larger role in the diagnosis of PE (Fig. 12). 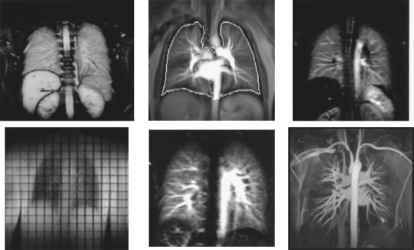 Figure 12 Six-image montage demonstrating potential complete evaluation of pulmonary embolism with examples of anatomic imaging (MIR HASTE), first pass perfusion, ventilation, mechanical deformation (SPAMM), arterial spin labeling (FAIRER), and MR angiography.